Do you want to upgrade your experience? Access Rich Ride Casino and claim this amazing deal. Only existing British players can qualify for this. Make a minimum payment of £10 to get a 50% bonus up to £250 and 65 Spins. 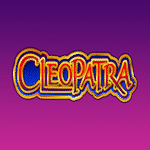 The money is valid on any of your favourite games, while the extra rounds work only on Cleopatra. Wager your winnings from the extra rounds 30 times in order to withdraw them. To cash out any money from the match deal, you must play through the deposit and bonus amount 30 times. Remember that the conversion from the bonus funds is limited to 4x. Contact support to get this deal. You won’t find such an amazing offer anywhere so get it now!